Because we made egg rolls last night, we had lots of egg roll wrappers leftover. 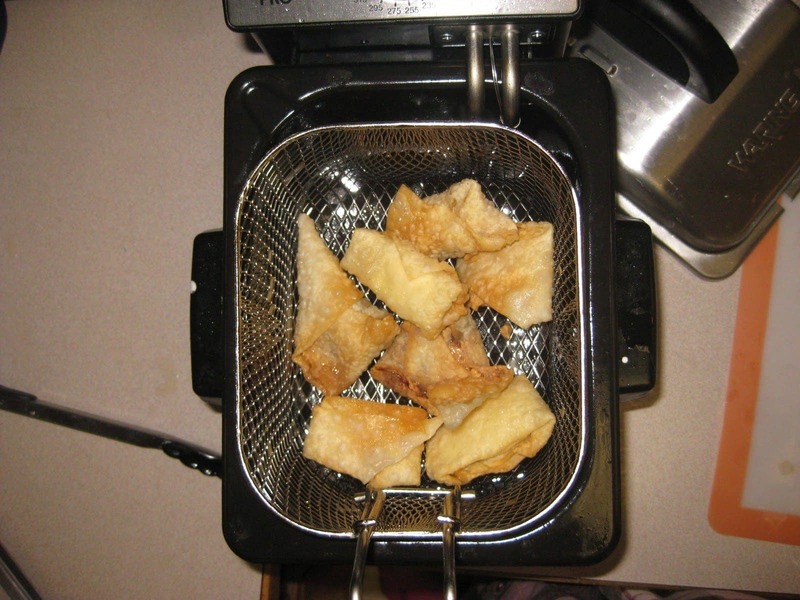 Our oil was still hot in the fryer, and we realized we could make even more delicious treats. It may work better with wonton wrappers (only because the size). 2. Fill with cream cheese. 3. Fold up wrapper and seal all sides. 4. Fry in oil until wrapper turns a light golden color. Cream cheese wontons taste good dipped in sweet and sour sauce. We ate them more as a dessert though.